Olympus OM-D E-M1 review: Pro grade body, Pro grade Sensor? 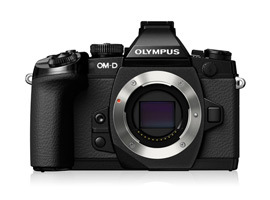 The OM-D E-M1 is the firm’s new flagship model is to replace the E-5, rather than E-M5, which will exist alongside the new model. As a result the E-M1 features a new much larger, pro-worthy outer shell than the E-M5 and yet it has many of that camera’s features that made it so popular. It has, for example, a similar 16-Mpix L-MOS sensor with the built-in 5-axis image stabilization, a high-resolution electronic viewfinder and pullout, tilting high-resolution 3-inch LCD touchscreen rear display. One of the most significant advances though is that the image sensor includes dedicated phase-detection pixels as part of a new 37-point AF system, which promises improved performance with the firm’s range of Four Thirds lenses for the E-series models (using an optional adaptor). In addition, the $1,399 E-M1 retains the 81-point contrast-detection AF system of previous models for focusing with existing MFT lenses. New features over the E-M5 include WiFi for remote triggering and image transfer, as well as ‘focus peaking’, True Pic VII processor with lens corrections, and 1/8000 sec top shutter speed with a 1/320 sec flash sync. 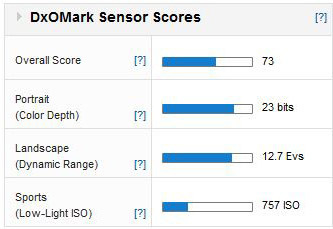 In the lab the E-M1 achieved one of the best scores for a MFT format camera with a DxOMark Sensor score of 73 points. As you might expect from the overall score, the E-M1 achieved one of the highest Portrait scores from this size sensor with color depth of 23-bits, and a similarly impressive Landscape score (DR) score of 12.7 Evs. The Low-Light result was a little lower than expected (at 757 ISO) but it’s not too far away from the best APS-C cameras. 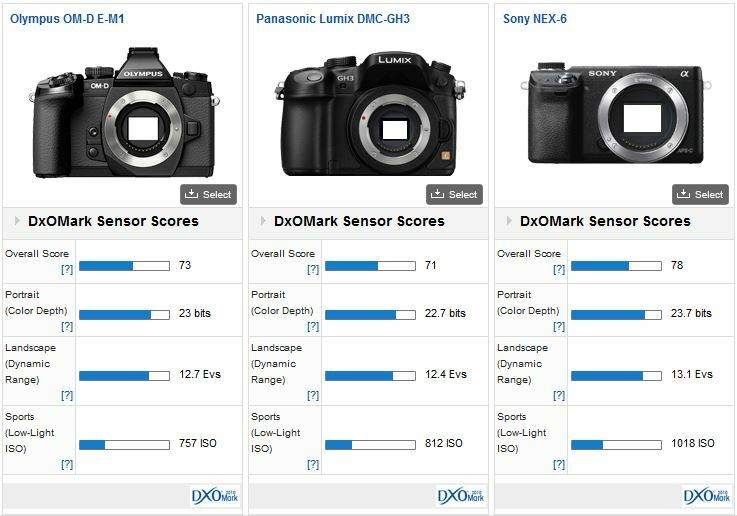 Olympus OM-D E-M1 Versus Panasonic Lumix DMC-GH3 Versus Sony NEX-6: Can the best of MFT match APS-C? Against the flagship Panasonic Lumix DMC-GH3, the E-M1 performs almost identically in the lab, and it’s remarkably close to the larger APS-C sensor equipped Sony NEX-6. The five-point lead of the Sony equates to a 1/3-stop improvement in overall IQ. Breaking each of the metrics down in turn gives a clearer picture. The color depth scores for the two MFT cameras are practically the same, whereas compared to the Sony, the E-M1 loses out by around -2/3 stop. For high contrast scenes, the E-M1 has around a 1/3-stop advantage in DR over the GH3 but the Sony has the roughly the same advantage over the Olympus. In low light, it would be very difficult to tell the E-M1 and GH3 apart but the Sony, on the other hand has a +1/2 stop advantage over both. 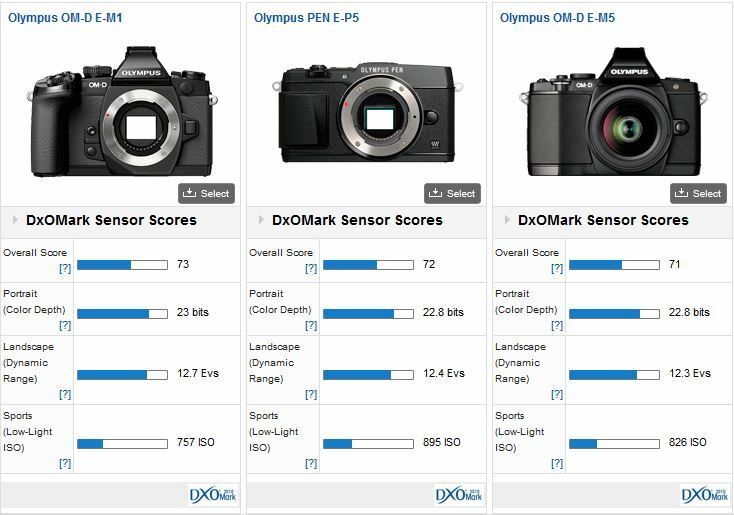 Olympus OM-D E-M1 Versus Olympus PEN E-P5 Versus Olympus OM-D E-M5: IQ Improvement over E-M5? Compared to recent offerings from the firm, built around what’s thought to be the same 16-Mpix sensor, the scores are very close indeed. This tends to support the idea that they do share the same underlying architecture, even if the sensor in the E-M5 has been modified to include on-chip PD-AF pixels. If that’s correct their addition certainly hasn’t impacted IQ negatively. In fact there’s no discernible difference in real world use, even if some slight variations can be seen in the lab results. In replacing the E-5, the introduction of the E-M1 heralds a new direction for Olympus and their MFT models. The larger, pro-grade body should appeal to existing E-3 and E-5 users, while the addition of the new focusing system grants unrestricted access to the firm’s range of high-performance, PD-AF based Four Third lenses. At the same time, Olympus has successfully integrated the system without degrading sensor IQ. Surely, that’s good news for prospective buyers.